WOW LOOK AT THIS DOLL!! 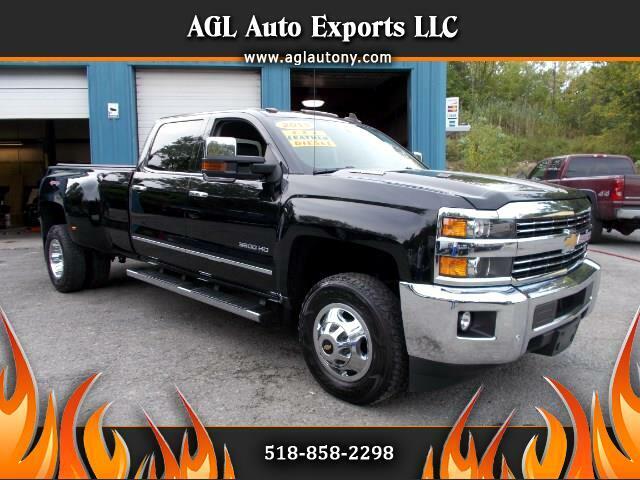 SHOWROOM CONDITION AND HAS IT ALL A 2015 LTZ CHEVY DULLY 4X4 6.6 LITER DIESEL JUST 1 EXCITING TRUCK DRIVES LIKE A MILLION $$$ HAS EVERY LUXURY OPTION FOR TRAVELING ON THE ROAD FROM SAFETY AND ALL THE LUXURY THAT CAN SURROUND YOU -TRAILER ALERT PKG -NAVI-6 DISC-MP3-BLU TOOTH-ONSTAR, LEATHER DUAL HEATED AND COOLED SEATS POWER ALSO , FACTORY BRAKE ASSIST, 4X4 ON DEMAND, POWER REAR SLIDING WINDOW , BACK UP CAMERA , PARK ASSIST FRONT AND REAR , NO RUST , LEATHER SEATS LIKE NEW ENGINE COMPARTMENT SPOTLESS;EXHAUST BRAKE , ELECTRONIC PEDDLES TO CUSTOM TAILOR YOUR FEET FOR RELAXION , DONT LET THIS LOW MILEAGE BEAUTY PASS !! !